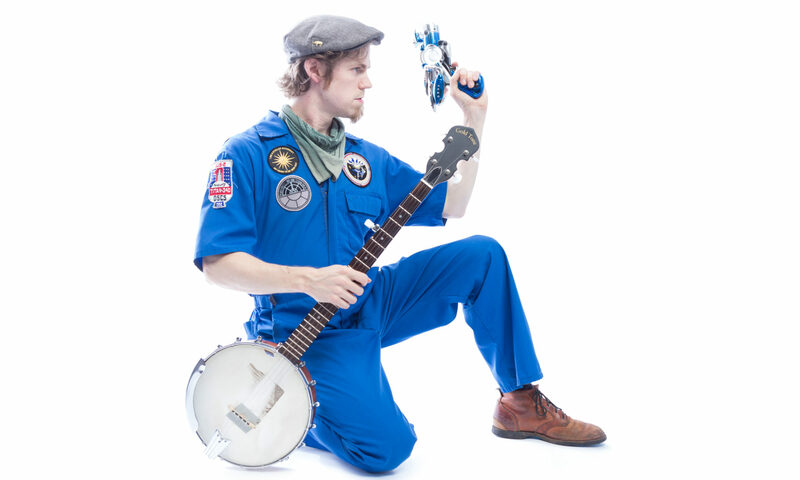 An acoustic singer-songwriter from Seattle, Aaron J. Shay blends an old-world folk sound with a modern lyrical style and an affinity for science, technology, and speculative fiction. His performances are highly interactive experiences, featuring many sing-alongs and stomp-alongs, all punctuated by his funny and heartfelt musings on relationships, creativity, magic, and the future of humanity. Influenced heavily by punk and Americana, his banjo- and ukulele-driven songs fall in some strange realm between Phil Ochs, Tom Waits, and The Mountain Goats. Sign up for the mailing list and receive an exclusive free song!